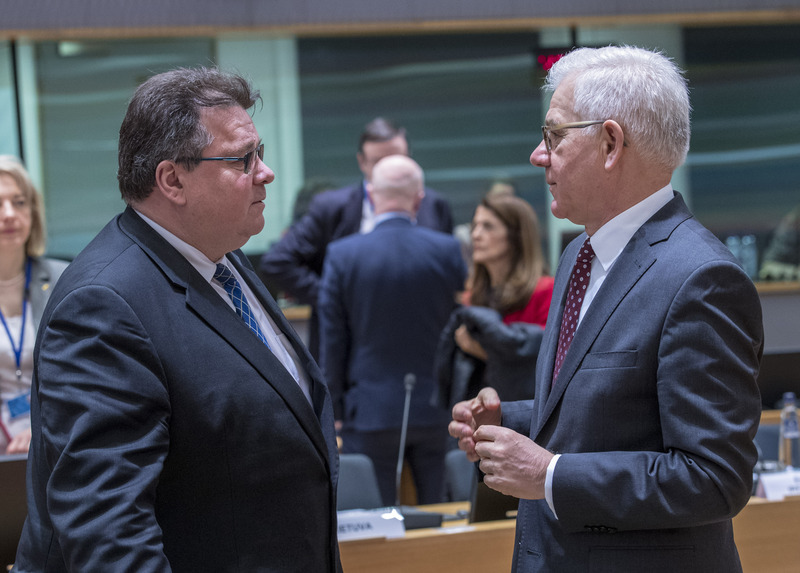 EU foreign ministers had an "exchange of views" on new Russia sanctions in the margins of Monday's (19 March) meeting, Lithuania's Linas Linkevicius told EUobserver, while Greece objected to blaming Russia for the UK attack. 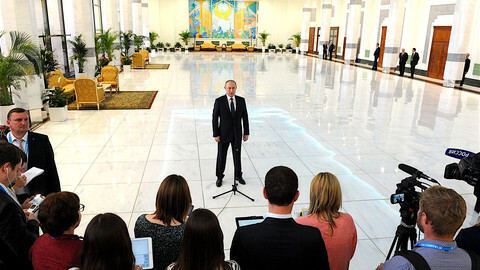 The ministers met after Russian leader Vladimir Putin secured six more years in office on Sunday. They also met in the shadow of British allegations that Russia had tried to kill a former spy, Sergei Skripal, in England using a chemical weapon. One new sanctions idea was visa bans and asset freezes on Russians who organised voting in Russia-occupied Crimea in Ukraine, Linkevicius, the Lithuanian foreign minister, told EUobserver. "There was talks [of sanctions] in the corridors because of various aspects, also because it [the meeting] coincided with Russian elections," he said in an interview in Brussels on Tuesday. "Those who organised the election there [in Crimea] could be targeted. Why not? This was mentioned," he confirmed. 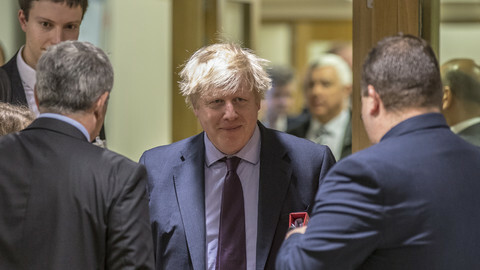 Boris Johnson, his British counterpart, did not ask for EU sanctions on Russia over the Skripal case, Linkevicius said, but he added that that was expected to come if Russia did not cooperate with a British inquiry into events. One option, later down the line, was to impose EU visa bans and asset freezes on Russians involved in the Skripal case, the Lithuanian minister indicated. He said some member states already had national measures in place, called Magnitsky Acts after a Russian activist, which go after Russians on human rights grounds and which the EU could use as a model. "It's also an option, because some EU countries, including mine, have already adopted such lists, and the UK is also going to do that," Linkevicius said. 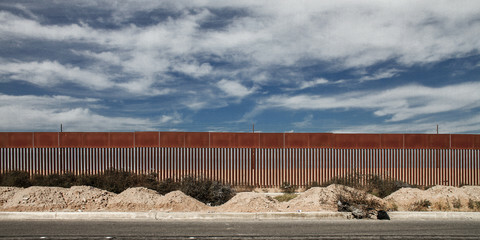 "Collective [EU] measures are more effective than national ones," he said. The gravity of the Skripal attack was such that it might merit invoking Article Four of the Nato charter, which foresees "consultations" if the "security of any of the parties is threatened", he added. "This was a chemical weapon attack on Nato territory, so it's legitimate to invoke Article Four, if not Article Five [triggering mutual defence]," the Lithuanian minister said. 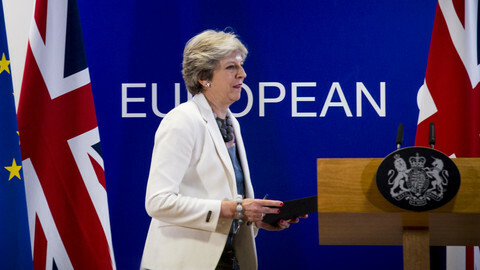 The EU pledged solidarity with the UK in Monday's communique, saying it took Britain's allegation that Russia did it "very seriously". Linkevicius said the communique was "important" to show Russia that Britain was not a soft target due to Brexit. "They [Russia] might have felt that the UK, in the process of Brexit, was weaker, and that maybe some EU countries would not show support, but they miscalculated," he said. 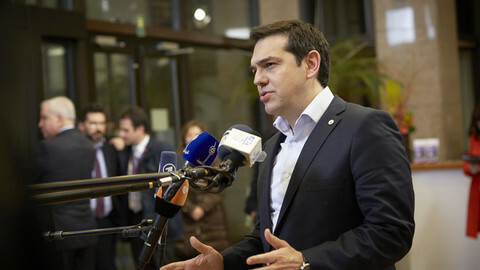 Greece signed up to the EU statement, but behind the scenes it voiced objections to blaming Russia before scientists from the Organisation for the Prohibition of Chemical Weapons, an international body in The Hague, had concluded their investigation. 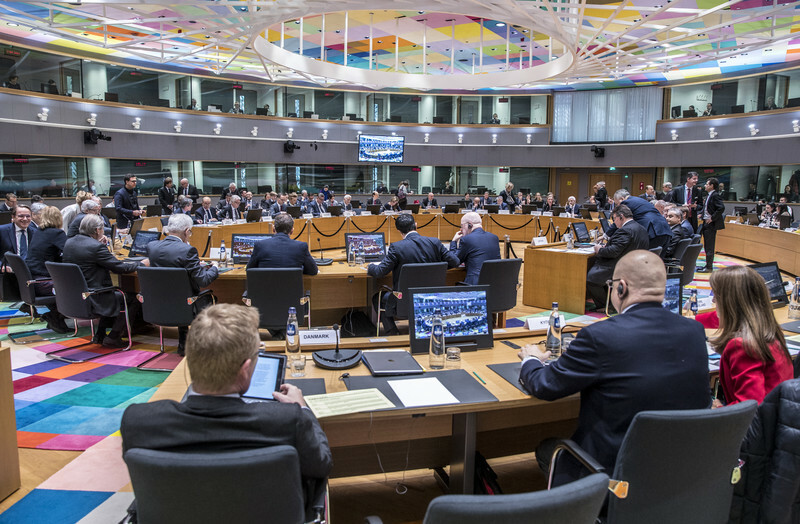 Greek foreign minister Nikos Kotzias warned his EU peers about taking the step before all the evidence was in, a Greek spokesman told EUobserver. The spokesman said there was no drama in the room, but others said things came to a head. "They [the Greeks] were point blank saying there should be no mention of Russia in the EU communique … and it took vigorous action by the Swedes, especially, and the Baltic states to fix it," Jonathan Eyal, an expert at British think tank Rusi told EUobserver, citing his own sources on Monday's talks. EU ministers will formally discuss Russia relations at their next meeting in April, Lithuania's Linkevicius said. 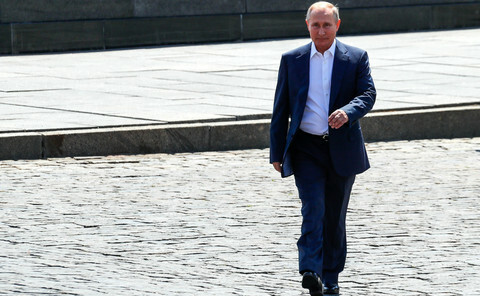 Putin now had two options, he said, either to "continue with the same policy of escalation [with the West], on the lines of his [pre-election] speech, the sabre-rattling about firing missiles at Florida", or a "rational option", of trying to mend ties and to modernise the Russian economy. "Nothing serious will happen before the World Cup [in Russia this summer], because they want to be at ease for that, but afterwards there could be developments," Linkevicius said. 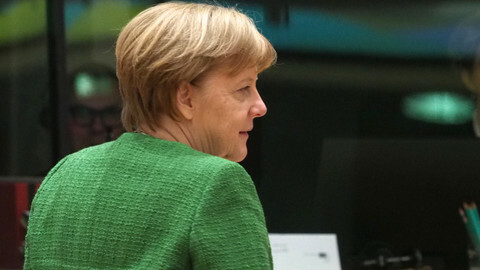 EU leaders will also discuss Russia at Thursday's summit in Brussels. EU Council head Donald Tusk aims to air concerns about "European preparedness" for "common risks which confront our democracies", including Russia's cyberthreat, an EU source said. The leaders will pledge solidarity on Skripal, echoing Monday's communique. "Tusk will be sympathetic to the approach [British prime minister] Theresa May will suggest," the source said. Bill Browder, a British activist who has campaigned for EU-level Magnitsky sanctions for the past eight years, gave another insight into EU thinking on Russia. The sanctions debate was, to an extent, being shaped by EU foreign affairs chief Federica Mogherini, who was soft on Russia, he told EUobserver on Tuesday. "I've been to Brussels dozens of times in the past eight years since Sergei Magnitsky was murdered. The message I always got from Federica Mogherini was to do nothing to upset Russia," he said, accusing her of "craven appeasement". Mogherini's office declined to comment. EU states pledged "solidarity" with UK over alleged Russian nerve toxin attack, but did not discuss imposing extra sanctions. German minister pledged solidarity with UK, while describing Russia as "a difficult partner" and saying there was need for "dialogue". EU leaders will discuss Russian security threats in the wake of the UK attack, but will not adopt new sanctions at Thursday's summit. 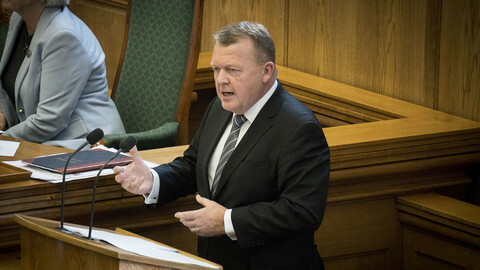 Momentum is building in Denmark and Sweden for the adoption of Magnitsky Acts - a form of sanctions hated by the Kremlin. EU states to consider expelling Russian diplomats over UK attack, but several leaders voiced doubt on blaming Russia. Germany and France are to impose new sanctions on Russia over the UK attack, with some measures due as early as Monday.